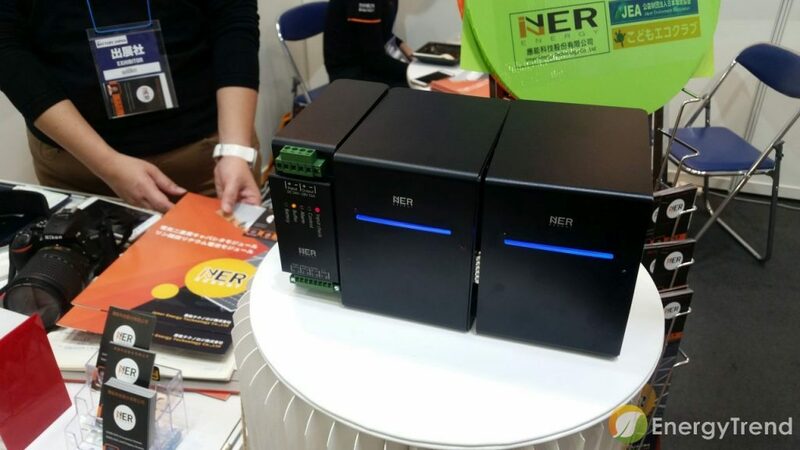 A wide variety of batteries, including stationary energy storage systems and niche products, were on display in Taiwan exhibition area at Battery Japan 2019, held in Tokyo Feb. 27-March 1, underscoring the diversity and flexibility of Taiwan's battery industry. 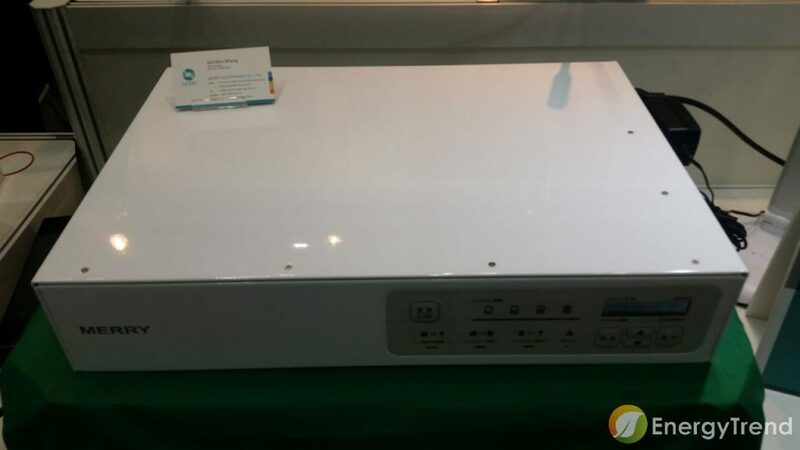 Inner Energy exhibited power battery blending ultra-grade capacitance and lithium-ion capacitance, modularized UPS with customized charging and discharging, and large multiplying-factor discharging battery sets, highlighting its advantage in large power output. 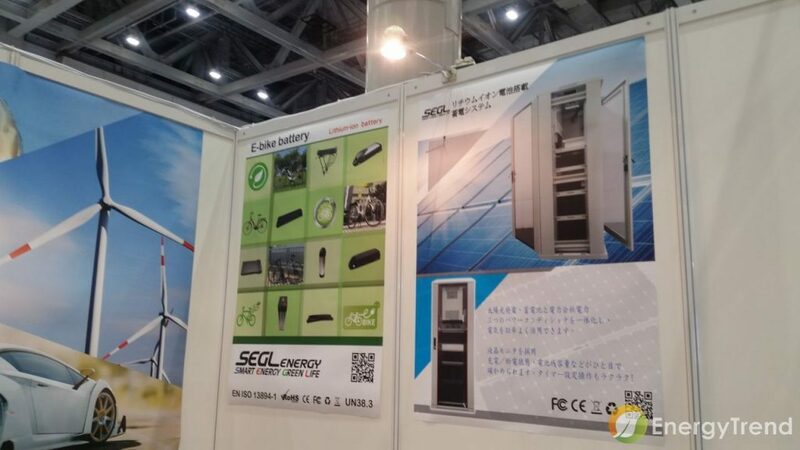 In addition to small-scale energy storage systems, SEGL also offered PV 5K VA energy storage cabinet. 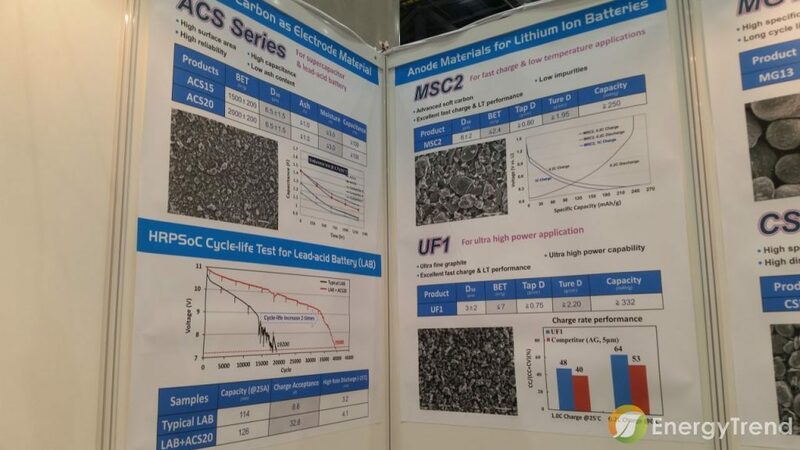 A wide range of negative-electrode materials could be found at the booth of CSCC, including medium- and high-power materials, MG 13 containing silicon carbide, and MSC2 enabling fast charging. 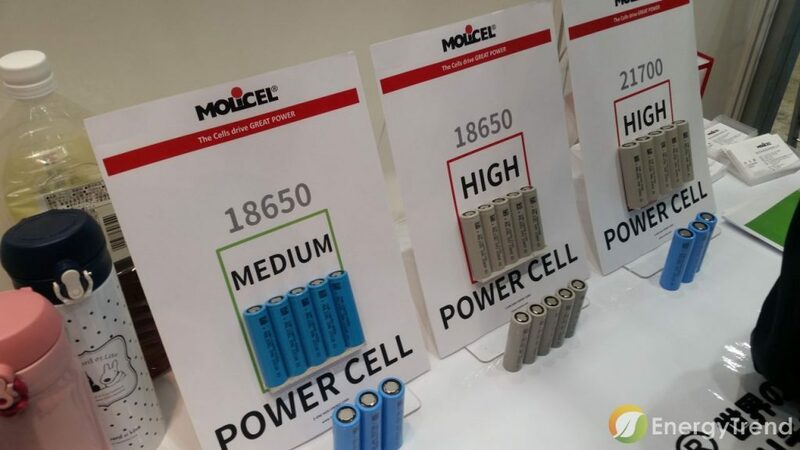 Multiple cylindrical battery cores were on display in the booth of E-one Moly, including 21700 and cutting-edge high-capacity battery cores with silica negative electrode. 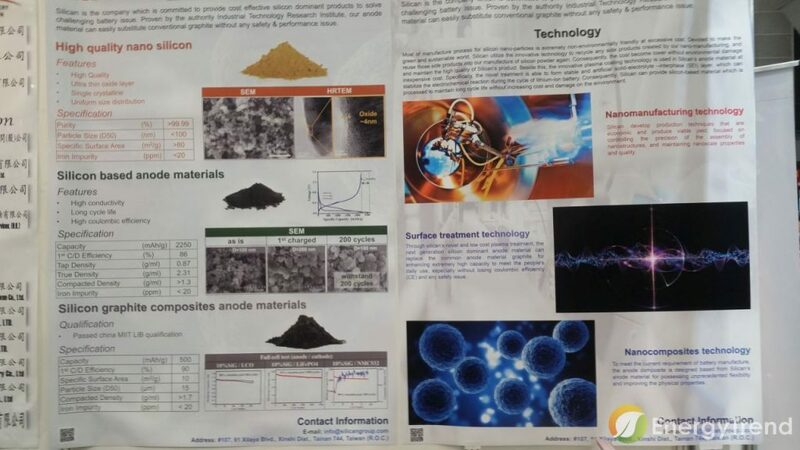 Despite its shorter history, Silican team of National Cheng Kung University exhibited cutting-edge silica negative-electrode material featuring ultra-high energy density of 3,000 mAh/g, almost double existing level, for which market reception remains to be seen. Merry displayed backup power device for refrigerators, assuring continuing refrigeration and freshness of foods during power outage. 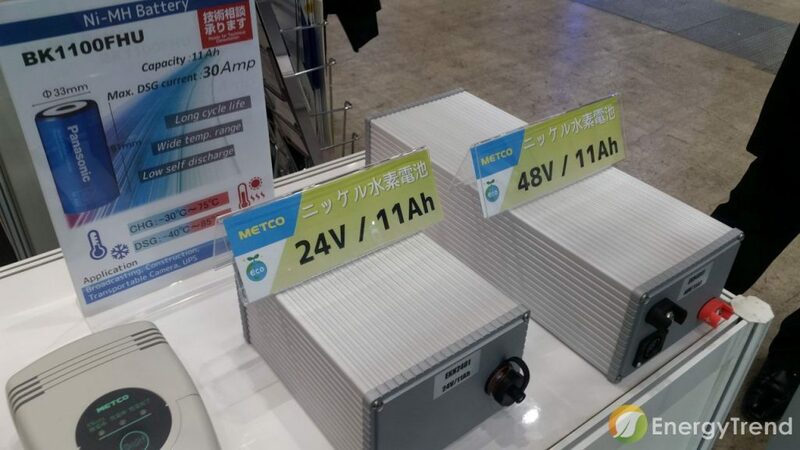 In line with its niche-market strategy, METCO showcased battery modules with nickel-metal-hydride battery core, applicable for an environment with temperate with temperature ranging from -40-85 degrees Celsius, such as refrigerated containers or tropical area. 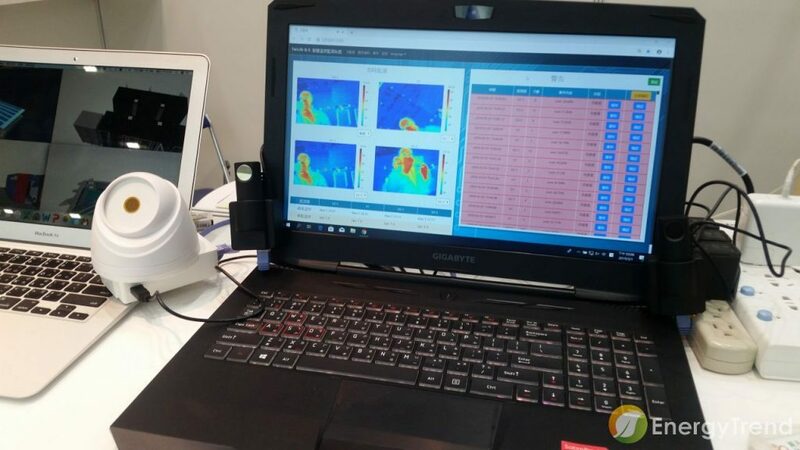 An established battery-jar supplier in Taiwan, Masterhold exhibited battery sets with built-in thermal imager, capable of thermal-runaway alert and follow-up identification and tracking.